Arrives flatpacked - requires assembly & bolting to ground. 6' x 4' with Apex Roof and double sliding doors. Please note that there are TWO of these sheds for assembly at the same property. Please quote for both! Job to be carried out in November 2009. Unfortunately this was a bit of a disaster! The job was to assemble two flatpacked 6 x 4 sheds. *The job was delayed several times over a 3 month period, with small parts of the assembly being done at a time, with gaps of weeks in the middle. *Promised work dates & times were not honoured on many occasions over the months without notice. 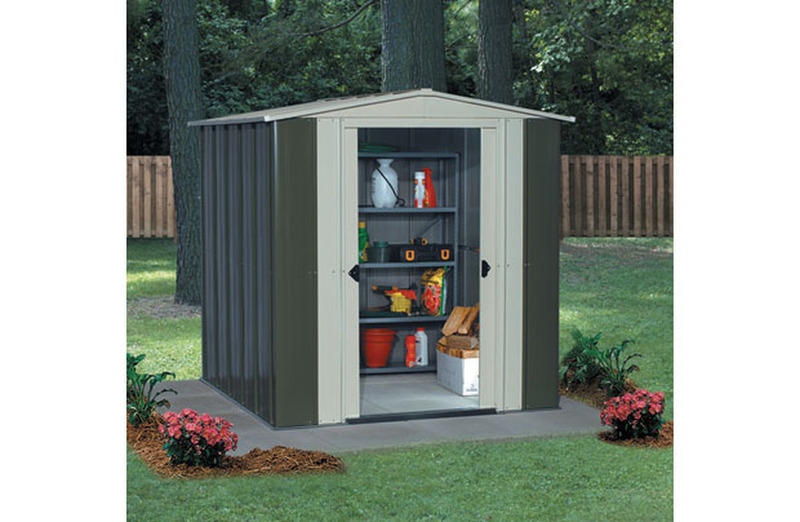 *The sheds were assembled by three gents who did not understand that there were two sheds - one in each box - they created one big oversized shed with parts left over. *After discovery of the over-sized shed, the pieces were too badly damaged (extra holes, dents and bends etc) to create the original two sheds. Pieces had also been misplaced over the months this had been ongoing. *Costs incurred by this job failing include re-ordering new replacement sheds, disposal of the damaged parts, rescheduling the electrician and gardeners and replacement of the unreturned property keys. Additionally, the previous job carried out (fix fence post) also requires re-doing... the concrete ground block the post was set in has crumbled away. It was a shame these jobs didn't turn out good. The impression is that there is too much work for the team. Dil seems to be a nice chap and hopefully standards will improve over time so these issues won't arise in the future.